Israeli companies looking to employ non-Israeli experts might have a somewhat easier time and less bureaucracy to wade through in coming years. Restrictions on employment of highly trained non-Israelis are considered one of the issues weighing down outfits operating from Israel, especially tech firms seeking to hire people with domain expertise unavailable in the local talent pool. In June, the Israeli Ministry of Social Affairs and Social Services has formed a team to look into removing some of the cumbersome restrictions on employment of non-Israelis in the country. The changes will not be applicable to all companies and industries equally, the team’s head Mordechai Elisha told Calcalist in an interview. The team is looking into global regulation in an attempt to formulate a model suited to Israel’s needs and is expected to submit its conclusions by the end of the year, Elisha said. 12,300 work permits were given to non-Israeli experts in 2017, according to data by the Israeli government entity responsible for immigration, the Population and Immigration Authority. Of those, 7,700 were for periods longer than 90 days. In 2014, only 4,800 permits were given, almost exclusively for longer employment periods. Of the permits given in 2017, 46% were given to experts in tech, industry, and construction, 14% to manual laborers, and 11% worked in managerial capacities. The team established is looking at the option of expediting application approvals, and removing a currently instated monthly wage minimum for incoming experts of NIS 20,000 (approximately $5,400)—double the local average wage, according to several people who spoke to Calcalist on condition of anonymity. Businesses seeking to employ non-Israeli experts in the country are currently required to submit an application to the Israeli Population and Immigration Authority. If the requested employment period is 90 days or less, an answer should be given within a week, but many times requests take longer to process, cutting into the employment period. Confirmation could take months and there is no certainty that a permit for the full requested employment period will be given, making recruitment processes more difficult to handle. The authority is also currently testing regulatory changes of its own, having published a new procedure for the employment of non-Israeli experts. It launched a 12-month pilot to test the new procedures in February. Non-Israeli entrepreneurs looking to operate in Israel can also try and get an “innovation visa,” offered by the country. Those eligible receive a work permit of up to two years, or five under an expert visa if they chose to establish a company in Israel, and can also receive support from the innovation authority. Some local companies are also turning to creative ways in attempt to bring talent from overseas to the local industry. 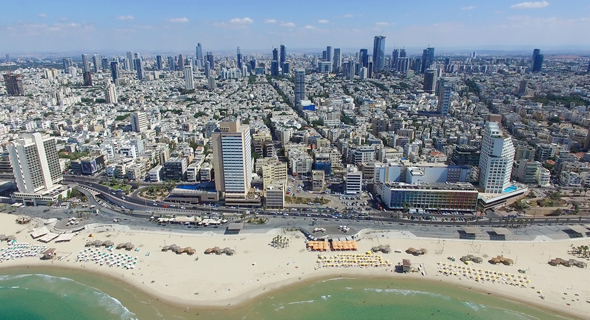 Tel Aviv-based venture capital firm Aleph Venture Capital offers a free workshop on locally in-demand skills to non-Israeli Jewish immigrants. According to Israeli state laws, all Jews wishing to do so can immigrate to the country and get an Israeli citizenship.